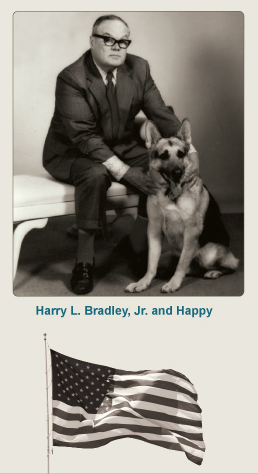 Welcome to the Harry L. Bradley, Jr. Charitable Fund. The Harry L. Bradley, Jr. Charitable Fund is a private, independent grant making organization based in Florida. Its grants support education, health care, free representative government, private enterprise and other activities that effectively further the donor’s philanthropic intent and honor his legacy. Honest and humble, trusting and trustworthy, generous to a fault, loving and caring, pious and intellectually curious, loyal and fiercely protective, Jerry was always as he appeared to be. These characteristics, the old-fashioned virtues acquired in his youth in the heartland of Wisconsin stayed with him throughout his life – his character acquired a patina of beauty and simplicity. Jerry was a good, kind, and thoughtful man, an old school gentleman.